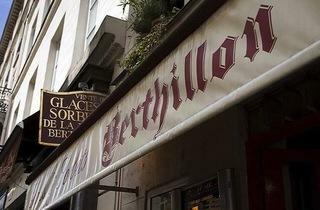 Continually hailed as the best ice cream in Paris, you can recognise the Berthillon ice-cream parlour and tearoom from the queues of people outside, except (somewhat strangely) in summer when the shop is closed! 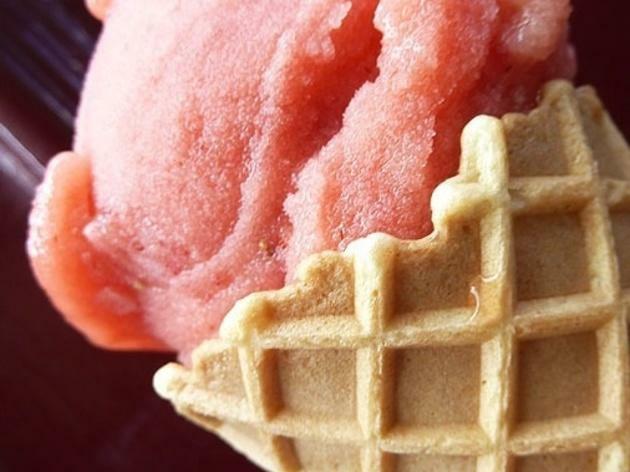 The flavours change throughout the seasons, but if it’s available don’t miss the strawberry sorbet, or the bitter chocolate sorbet made without and dairy products. 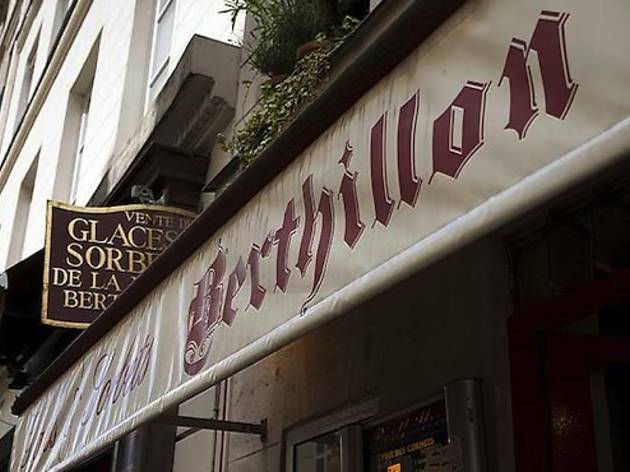 In winter Berthillon offers delicious hot chocolate, made from melted chocolate and cream, and – perhaps even naughtier – a chocolate ‘affogato’ (a ball of vanilla ice-cream, served in a white porcelain mug with hot chocolate poured on top and topped with praline cream). 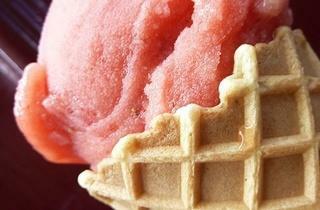 Don't be put off by the queues - they're rarely for the tearoom itself. 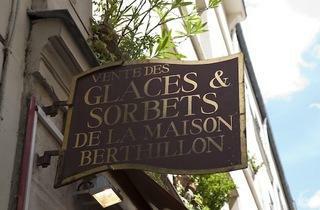 Not much atmosphere - a little bit snooty really - but easily the best ice cream in Paris! 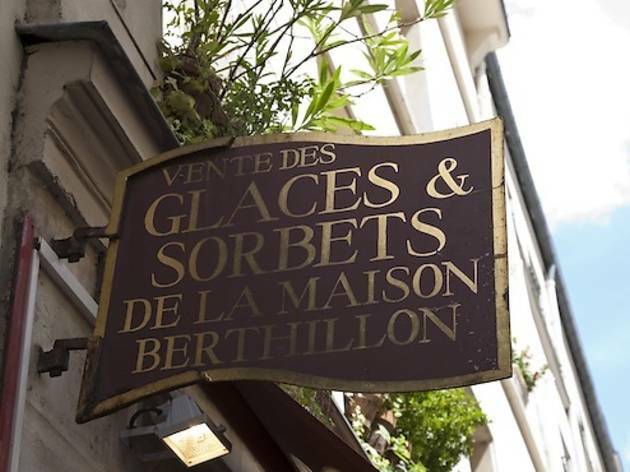 The macaron I had was cakey and, when sandwiched with ice cream in the middle, reminded me of a cookie and ice cream sandwich. The salted butter caramel ice cream was like nothing I have ever tasted - creamy, sweet and salty all in one delicious mouthful and topped with a mouth-watering hot chocolate sauce. I also sampled a tarte tatin. Piled heavily with apple on a thin pastry base, it was deliciously caramelised.